PCN Flight West: DL Capt. Herbert Field Kerr Jr.
DL Capt. Herbert Field Kerr Jr. Arrangements were entrusted to the Cremation Society of Georgia. Herbert F Kerr, age 78, died peacefully in Atlanta, Georgia July 26, 2017. Herb was born August 5, 1938 in Patterson, New Jersey. He attended The Citadel in Charleston, South Carolina and after graduation entered the Air Force. 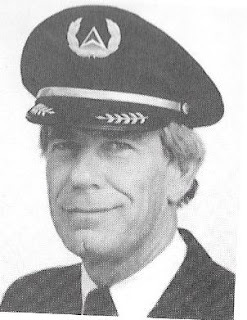 Herb loved to fly and became a pilot for Delta Airlines in Atlanta, Georgia. He loved cars and was a Formula One racing enthusiast. Herb was an avid runner competing in numerous marathons including thirteen Boston Marathons. Survivors include his brother Douglas Kerr Sr., a nephew Douglas Kerr Jr. and niece Kristen Kerr as well as several grand nieces and nephews. Herb had many friends in Atlanta, Georgia, New Harbor, Maine and St. Simon's Island, Georgia.